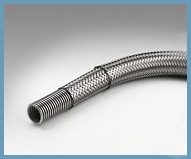 Flexible Stainless Steel Hoses and Flexible Metallic Hose Assemblies. 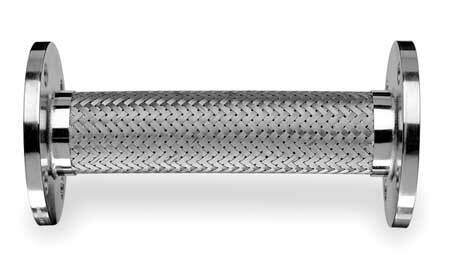 Flexible hose solutions for high temperature and high pressure applications involving liquids or gases, or for flexible exhaust pipe requirements. 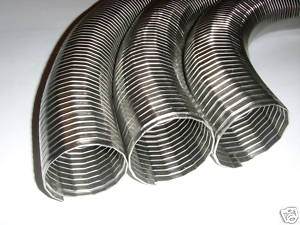 Suppliers of Flexible Metal Hose in Stainless Steel. Our Corrugated Metal Hoses are manufactured in the UK and can be supplied unbraided for general use, or single or double braided to withstand greater pressure. Gastight, it is ideal for conveying liquid, fumes or gas at high temperatures and high pressures. 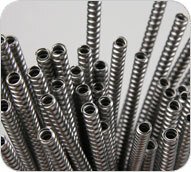 Usually supplied with fitted ends to suit your application. 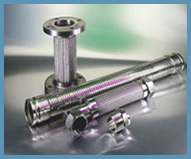 We manufacture flexible metal hose assemblies in stainless steel for high temperature and high pressure applications for industries including Gas & Oil, Electricity, Petrochemical, Nuclear, Automotive, Defence and Steam Generation. 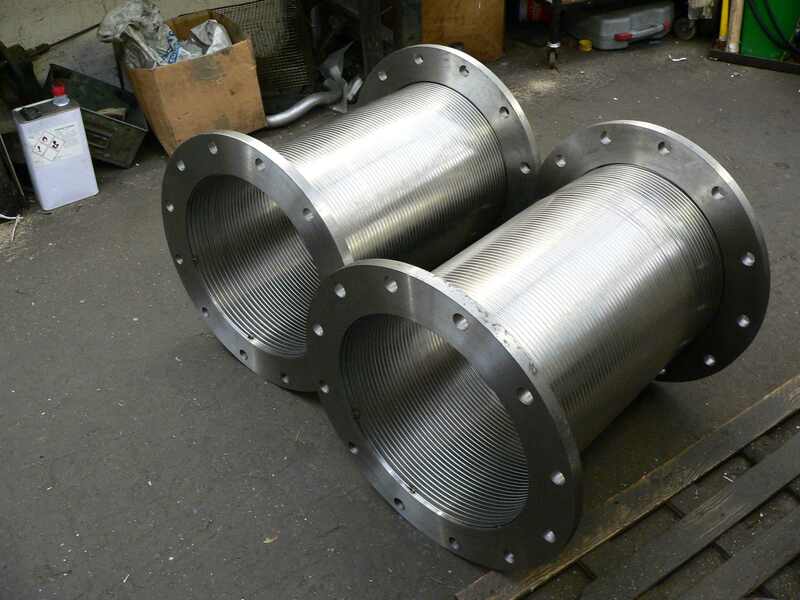 Whatever the application, environment, pressure or flex requirements, we can provide a steel hose assembly that will measure up to the demands. We can cut our flexible exhaust hose to the length you require and fitt ends and flanges to suit any application. Flexible metal conduit is a stainless steel armour that is heat resistant and crushproof and is ideal for cable protection. Stripwound metal tube manufactured from grade 304 Stainless Steel in Squarelock or Doublelock type construction. Cut to any length you require.